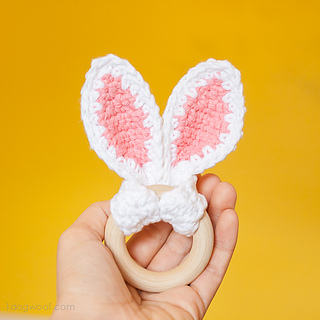 These bunny ears were originally meant to be a rattle for baby, but I’ve had users wrap these around headbands for little bunny ear costumes as well. However you want to use them, they are no less adorable! 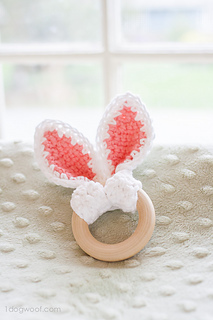 I used cotton yarn so that baby can chew on them without getting fuzzies in their mouth. No special gauge or size required.